We focus on automobile accidents, personal watercraft injuries, motorcycle wrecks, prescription drug liability, paralysis, and other serious personal injuries. Since 1992 Vince Bruner has devoted his practice solely to work as a Plaintiff’s personal injury lawyer, dedicated to assisting people injured in accidents throughout the Florida panhandle. 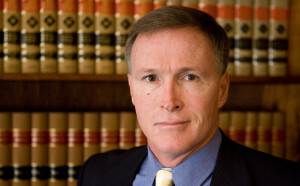 His education and experience in both law and government and his familiarity with the places and people in the Florida panhandle have assisted him in effectively representing people injured by the careless and negligent acts of others. He has maintained offices in both Panama City and Fort Walton Beach since 1988 to help panama city car wreck victims as well as Fort Walton Beach car wreck victims. He remains dedicated to helping and assisting victims of accidental injuries and the neglect of others. Call us today to schedule your FREE case evaluation or connect with us.